This is hardly a maze, but the panels form a maze-forming puzzle! 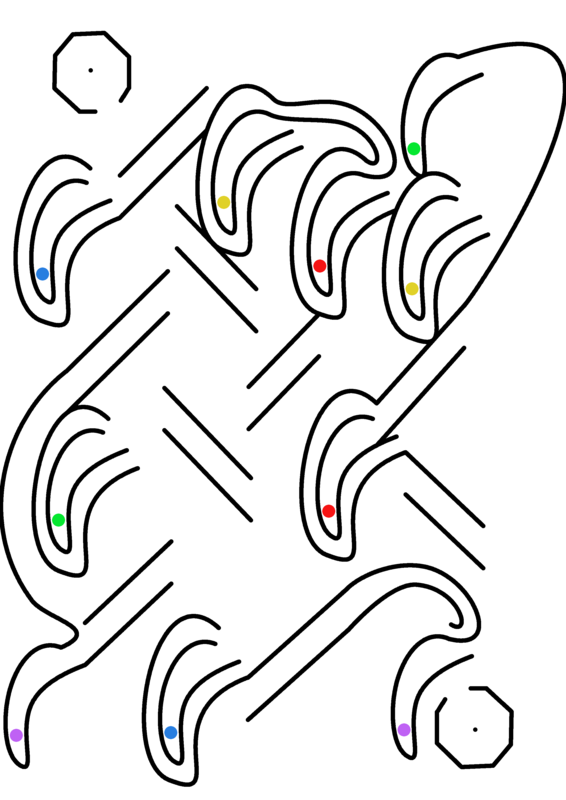 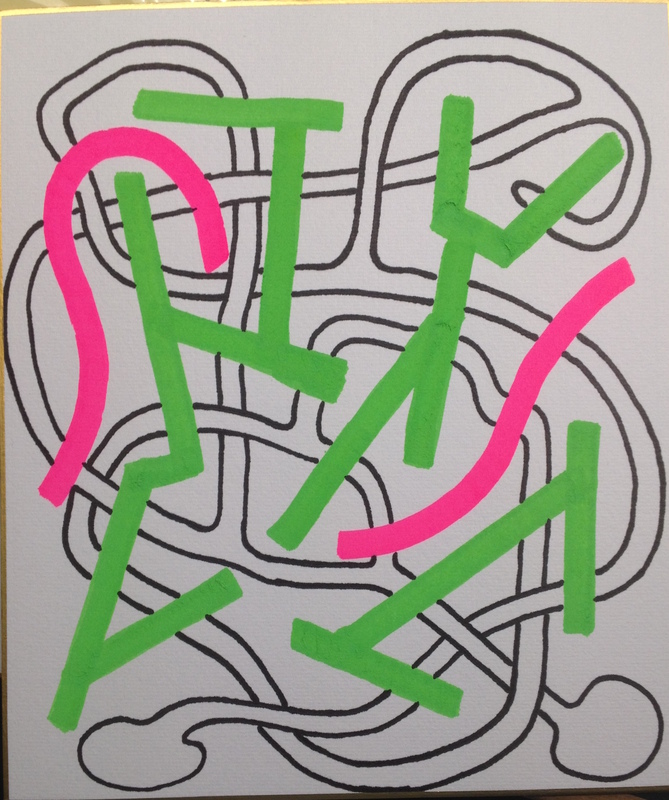 This maze includes a spiral and maybe a plus sign, though it’s sideways. 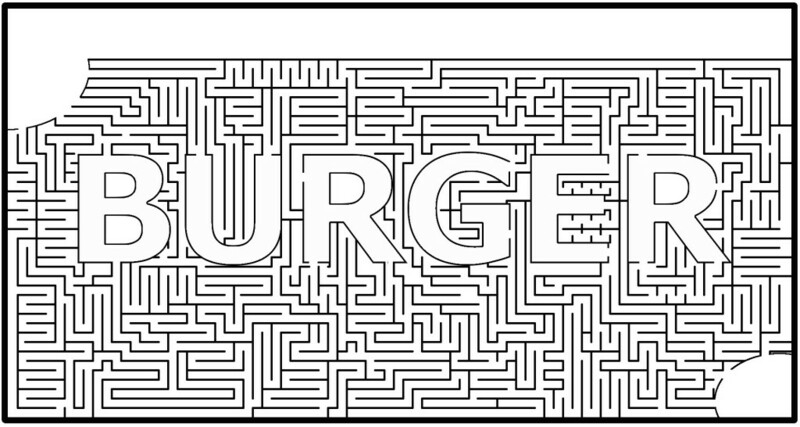 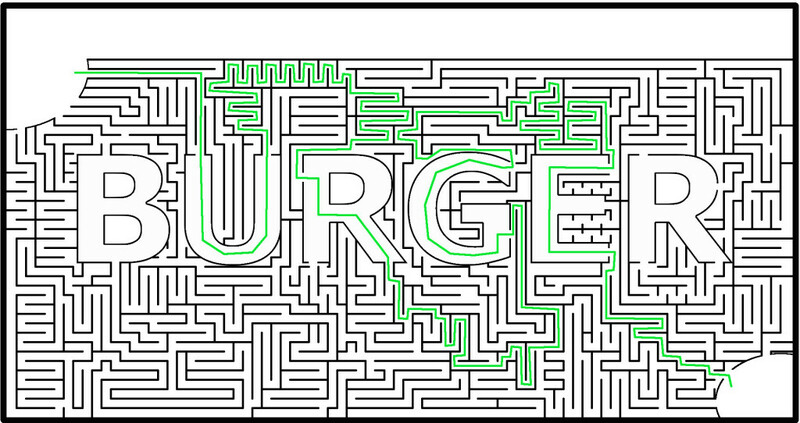 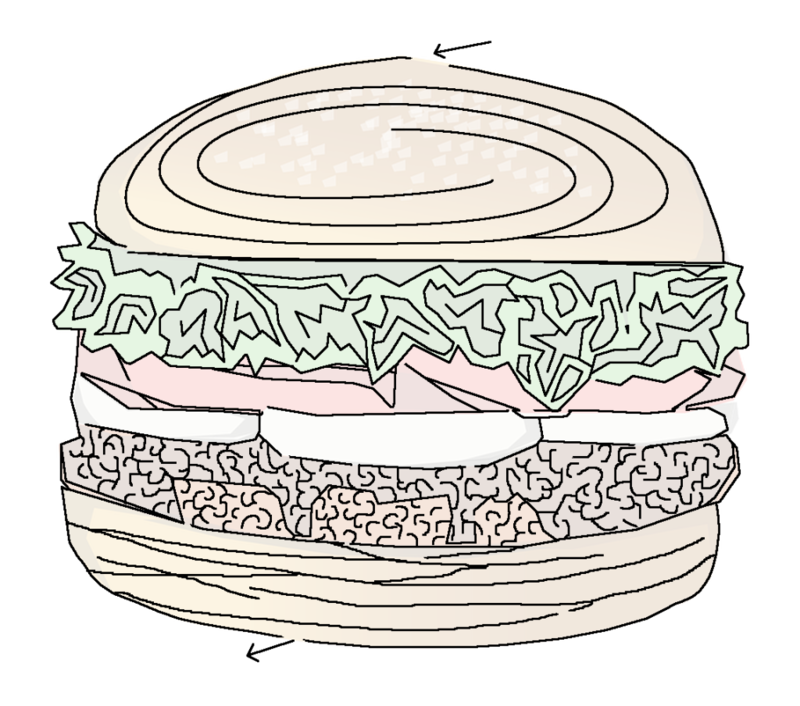 Graeme asked me to make a maze with the word BURGER in the middle. It’s based on a design he sent me. 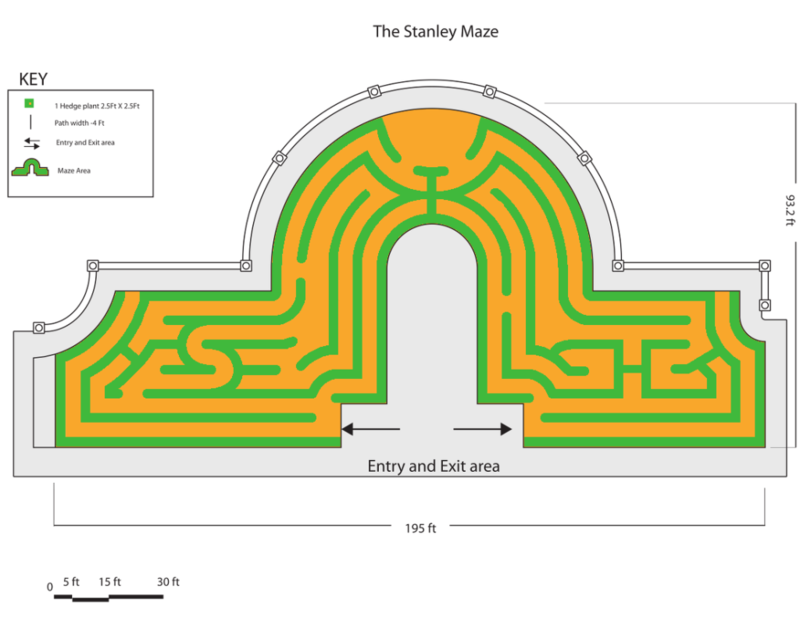 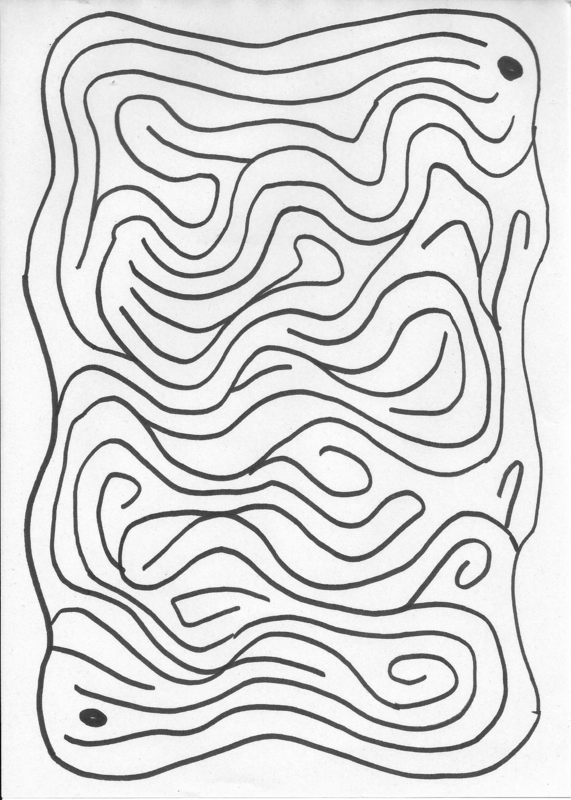 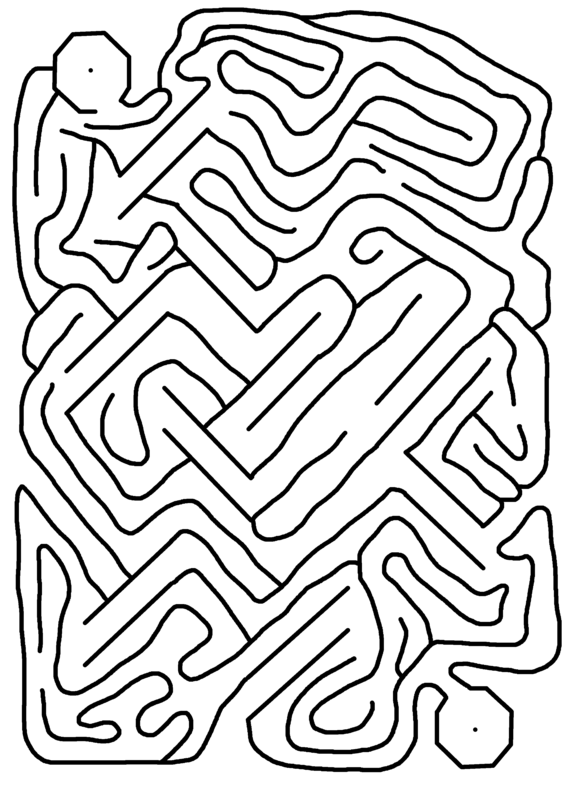 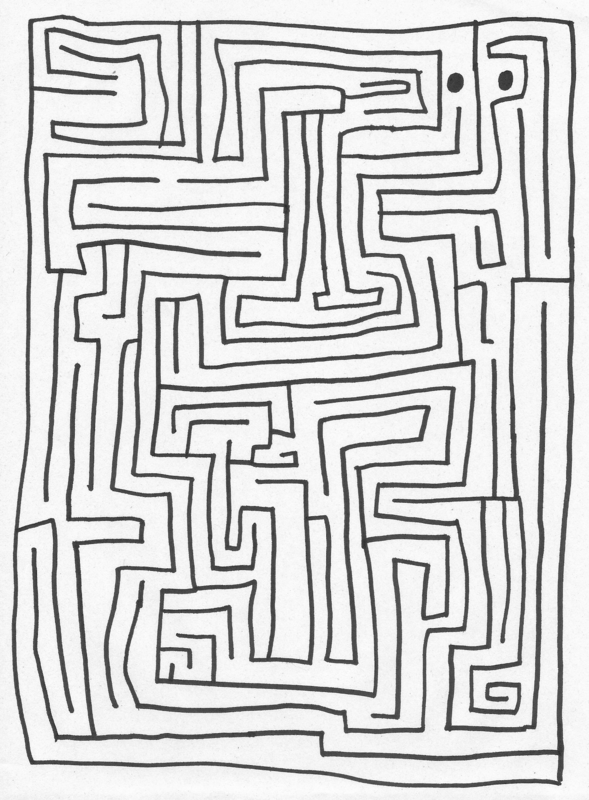 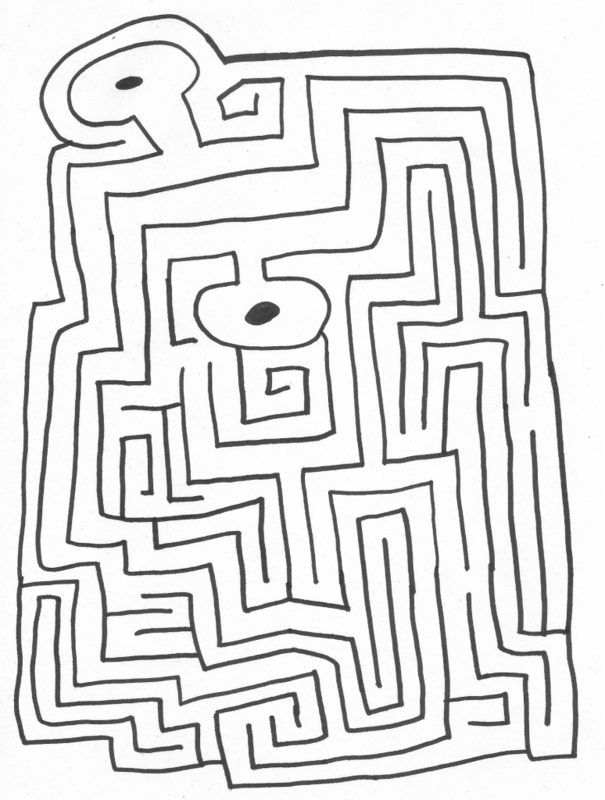 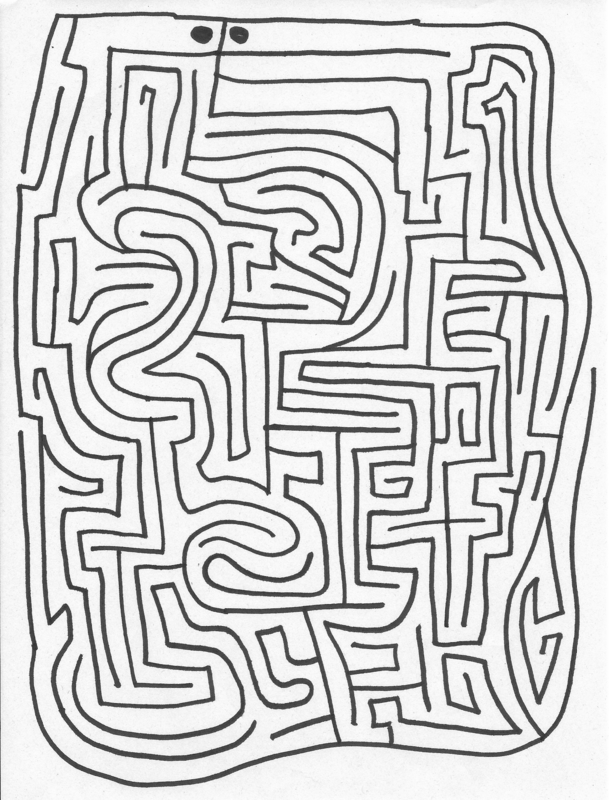 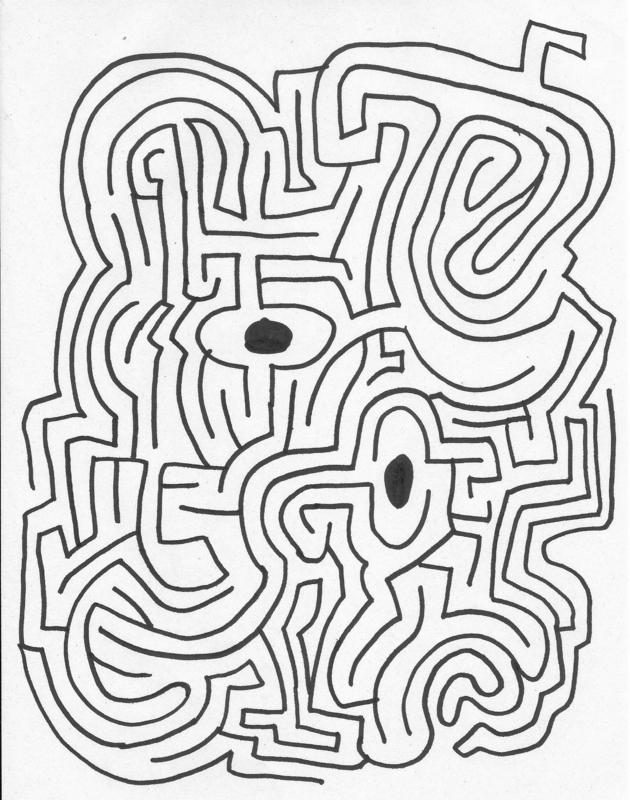 browsing /r/mazes, I saw a request for a maze. I happened to have some free time so I drew this in a few hours. 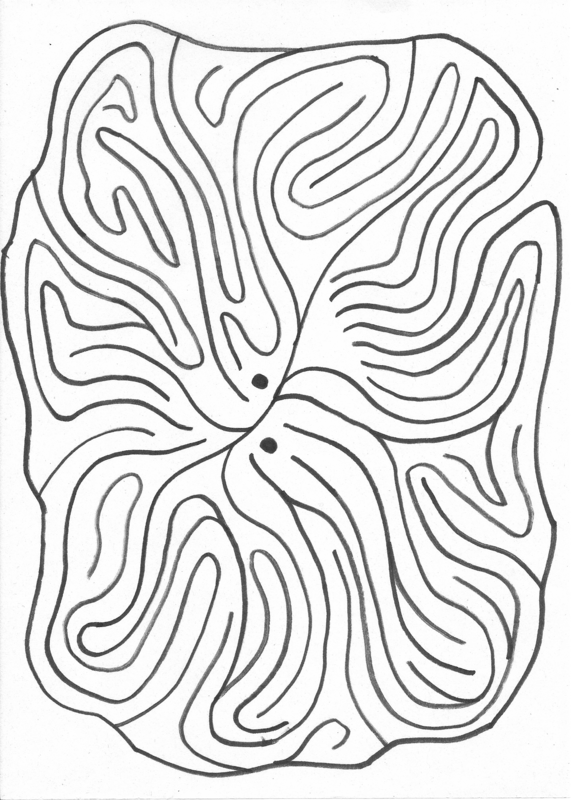 Happy U is happy if you can travel from dot to dot. 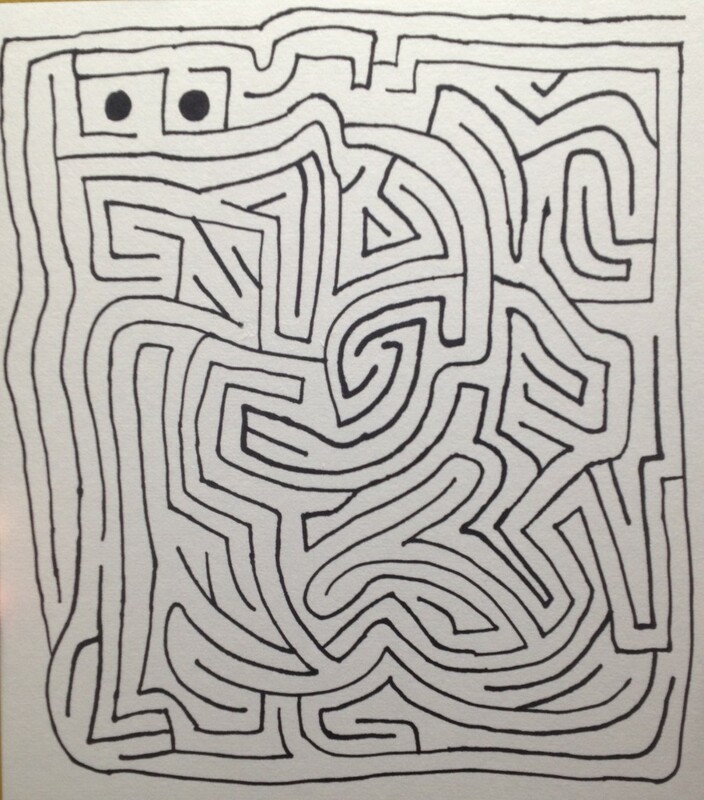 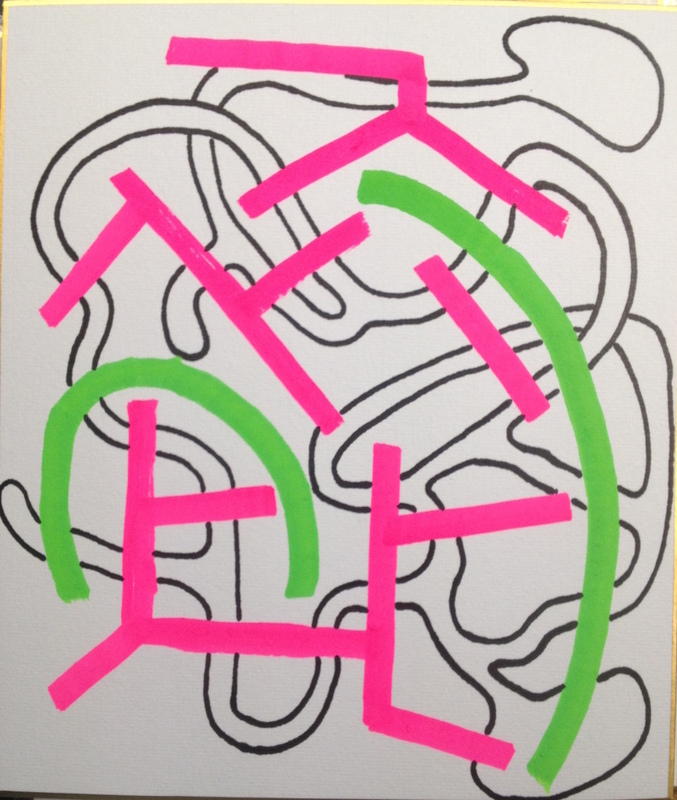 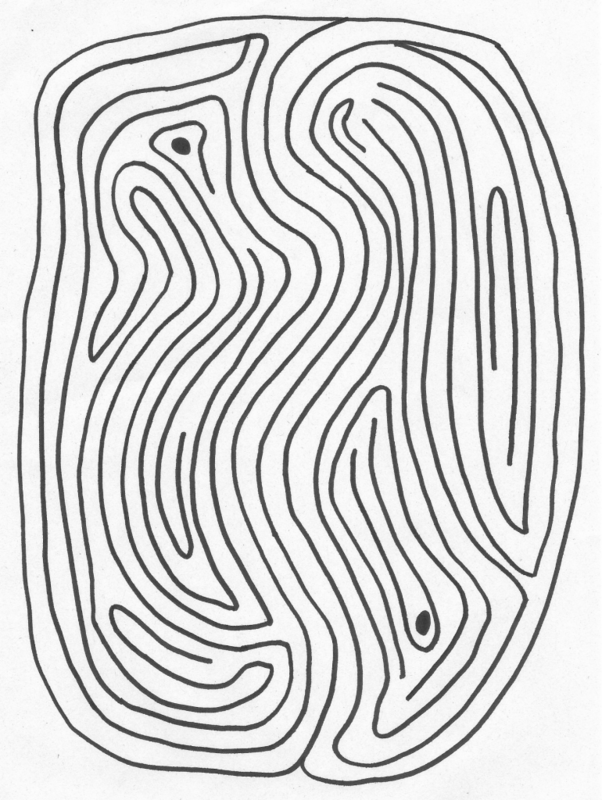 Here are two mazes for the price of one! 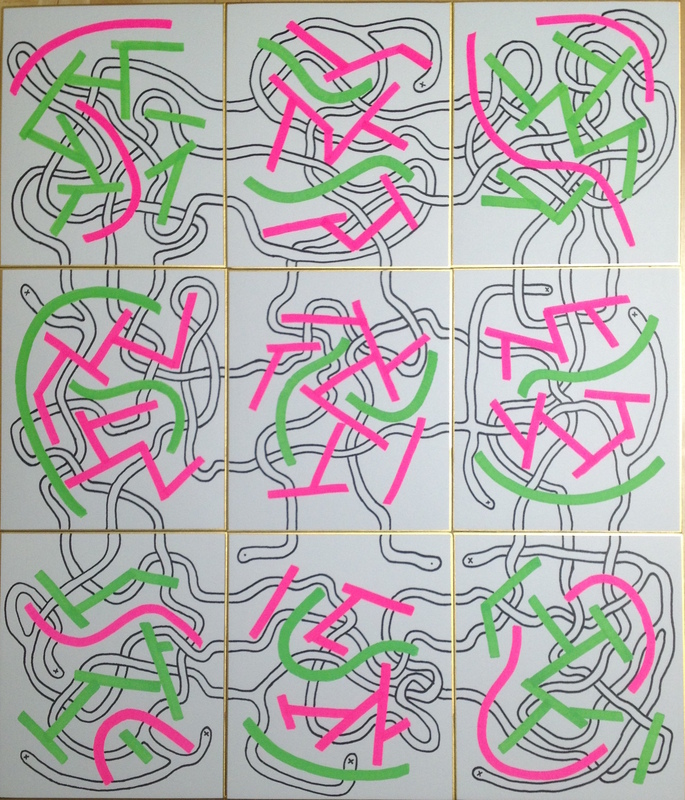 In each case, they are drawn on paperboard called “shikishi” (色紙) in Japanese. In each case they have their own permalinks. 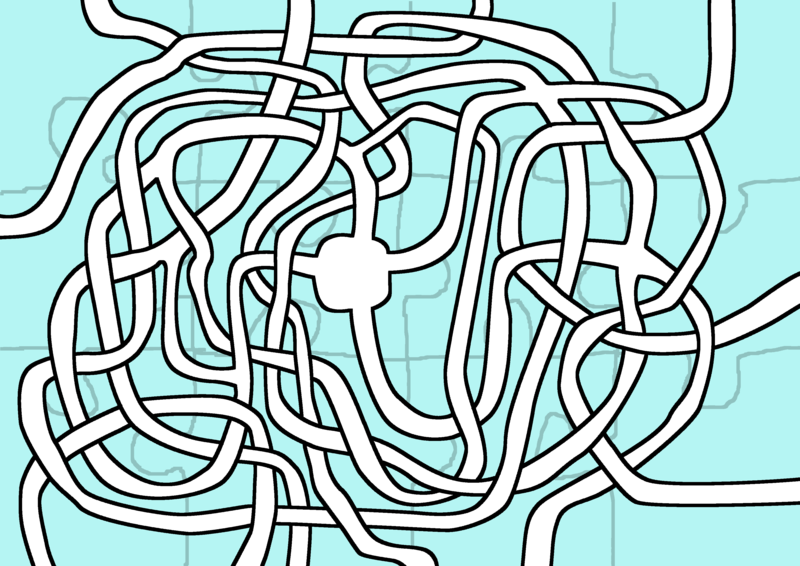 This reminds me of the traveling salesman problem, but is nothing like that. 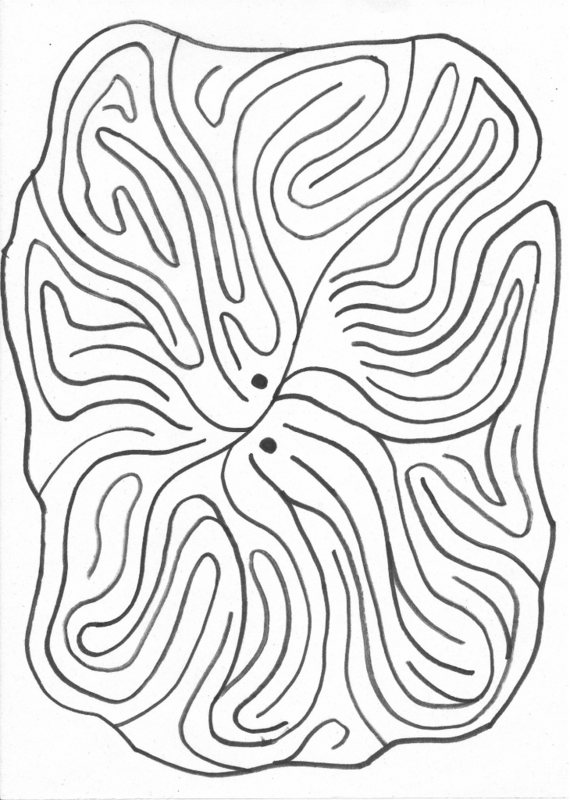 Use each pair of teleports while traveling from one dot to the other, but while traveling conventionally, don’t cross any black lines or your own path. 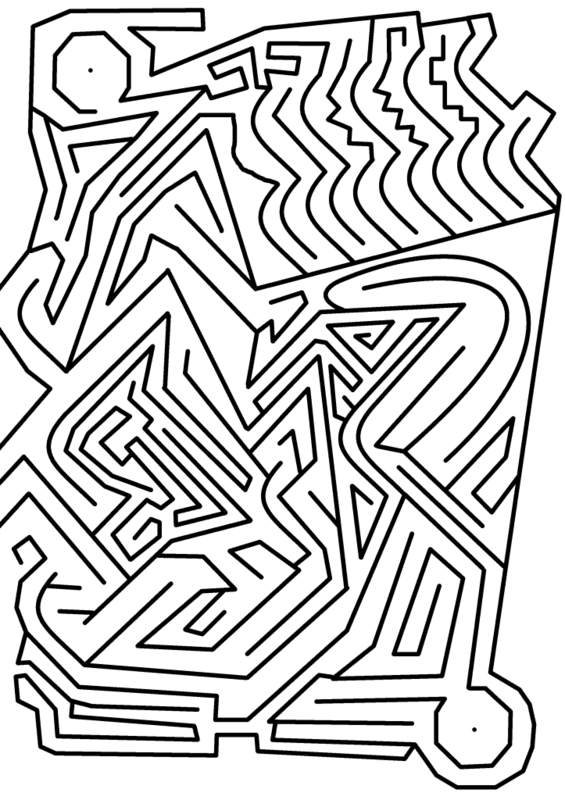 I drew a few straight lines and considered making a mirror maze, but have no way to easily measure the angles to make sure they’re precise. 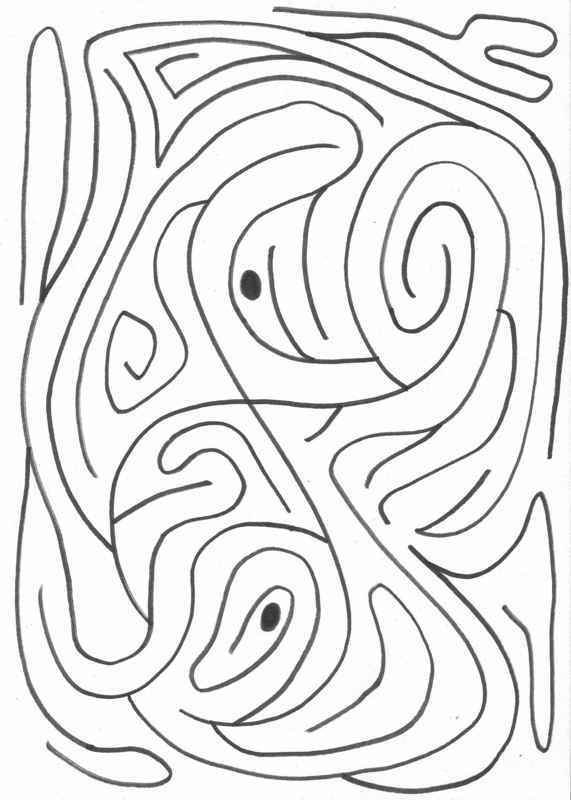 So I abandoned the mirror concept and just drew in some other lines. 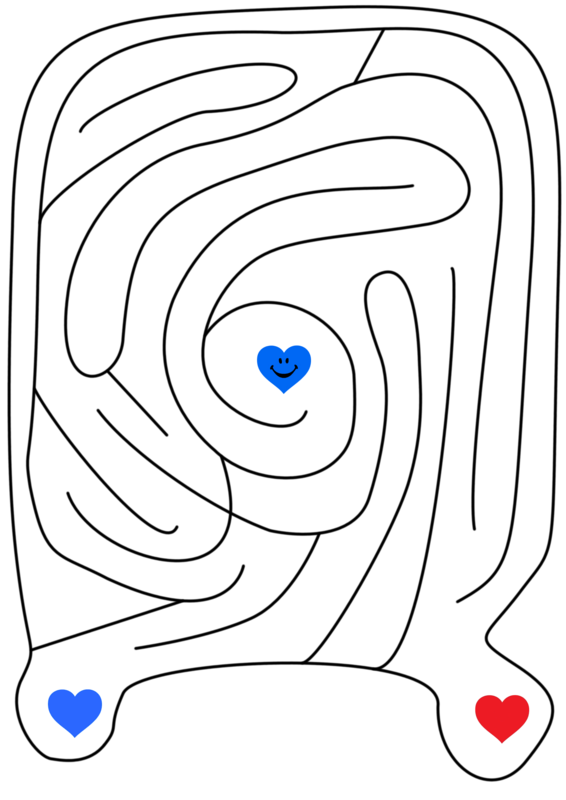 By request, a maze where the blue heart wins! This maze was hand drawn on 色紙, white paperboard with gold trim. 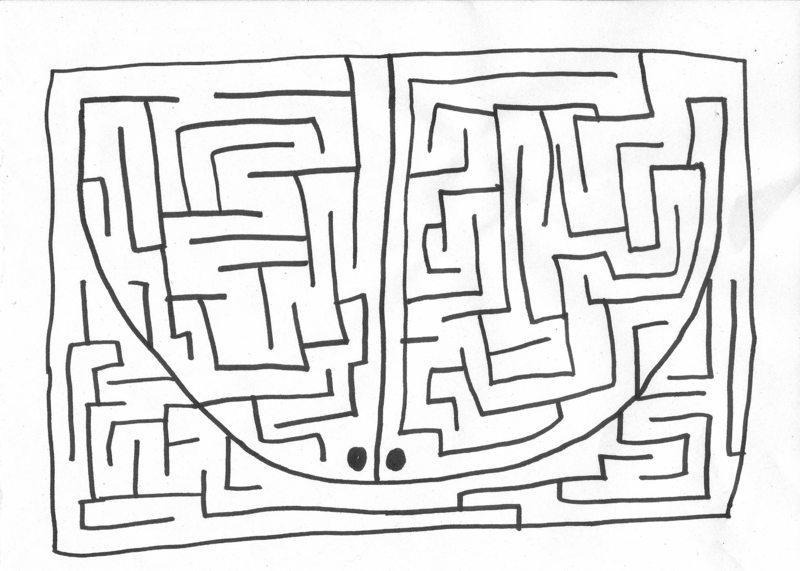 Travel between the lines from dot to dot.